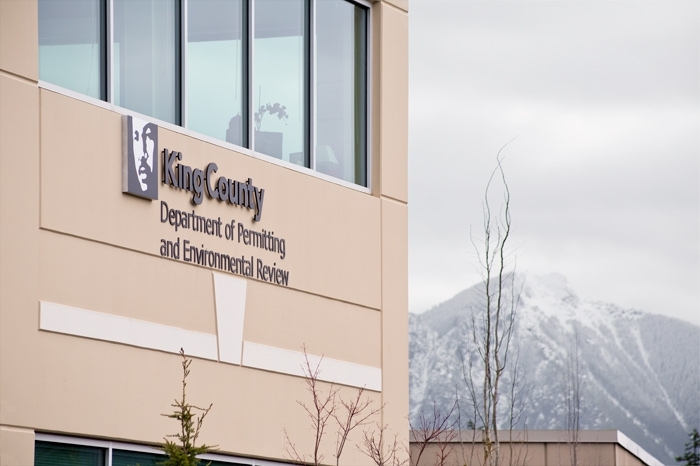 The Department of Permitting and Environmental Review (DPER) is the King County agency that issues permits for properties located in unincorporated King County. 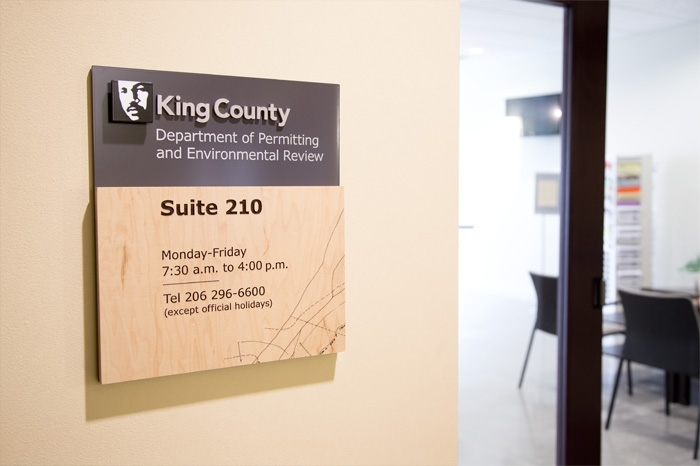 The office enforces county land use and building codes, staffs the King County Fire Marshal, and issues business licenses. 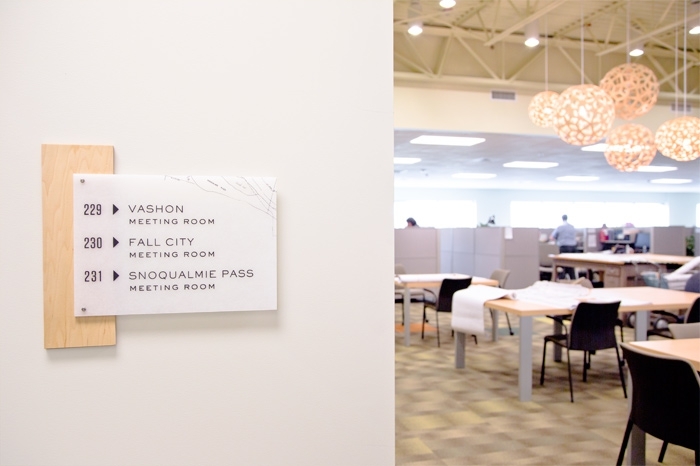 The department moved offices from an older out of date office in Renton to a newer building in Snoqualmie. 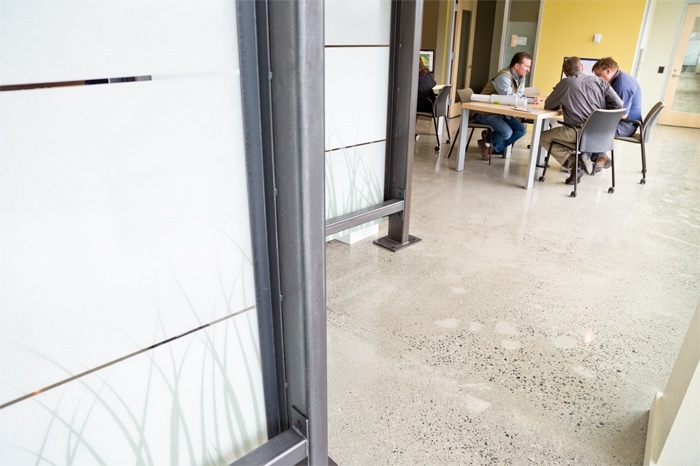 DPER hired Mithun to bring a modern and sustainable vision to this tenant improvement project. 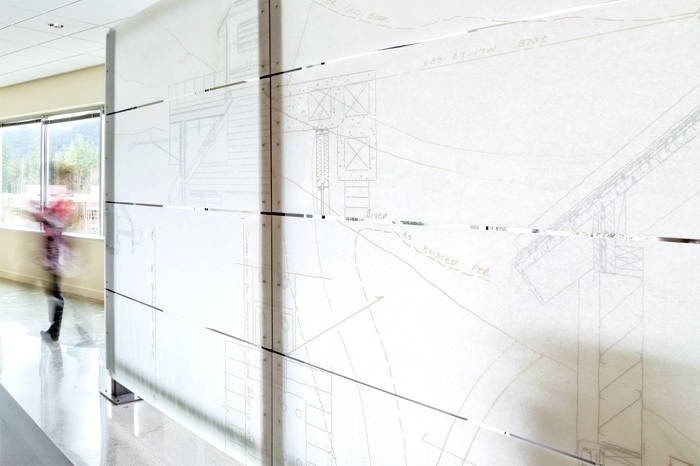 At the heart of the project, the main welcome desk “the hub” delivers on the Mithun design theme of transparency and honest materials in the form of a multi-panel translucent screen made of Lumasite. 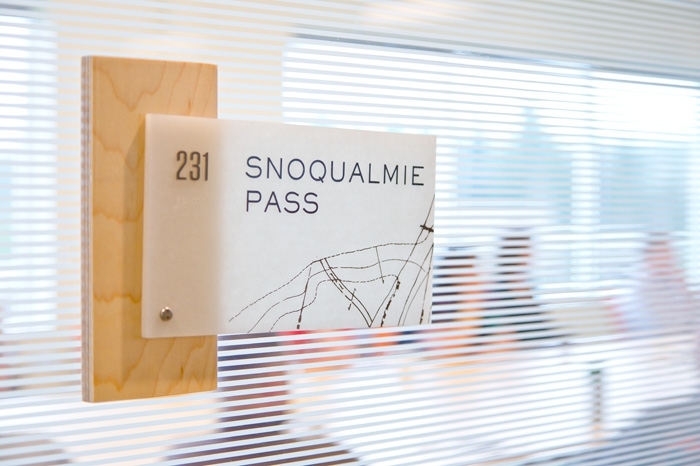 The surface of the screen was a perfect opportunity to apply an atmospheric graphic depiction of land use and building motifs. 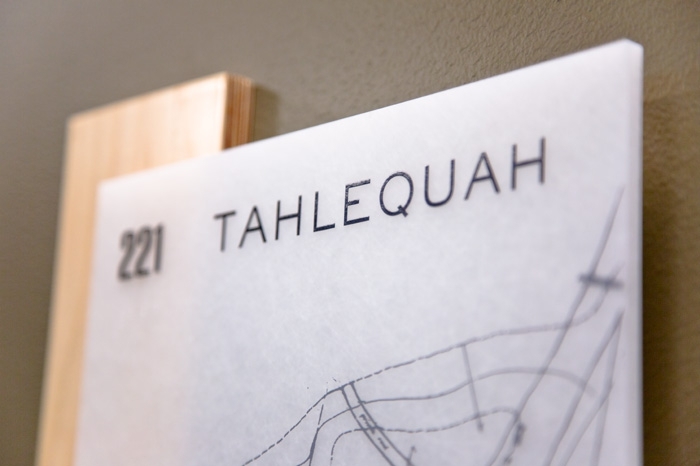 With a focus on rural properties and construction plans, the composition highlights plats and building parts with an emphasis on sustainability in the form silhouetted reeds at the base of the wall. 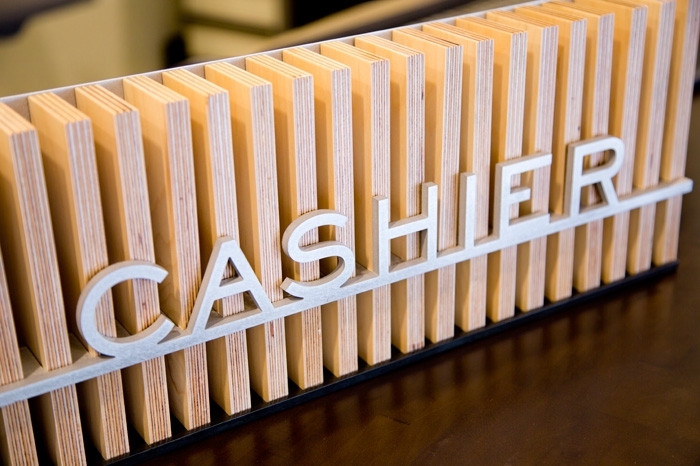 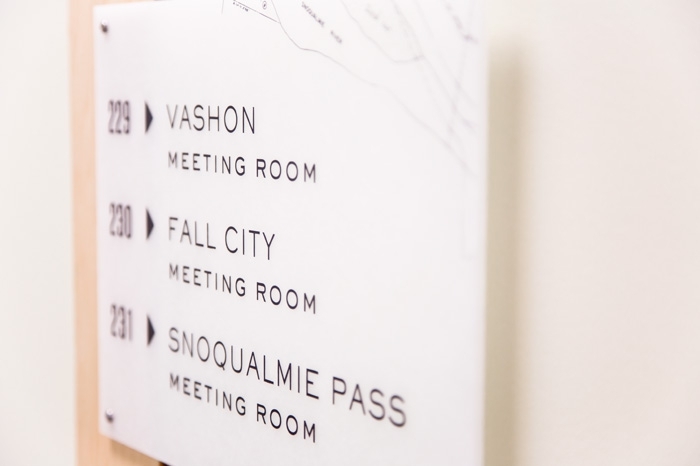 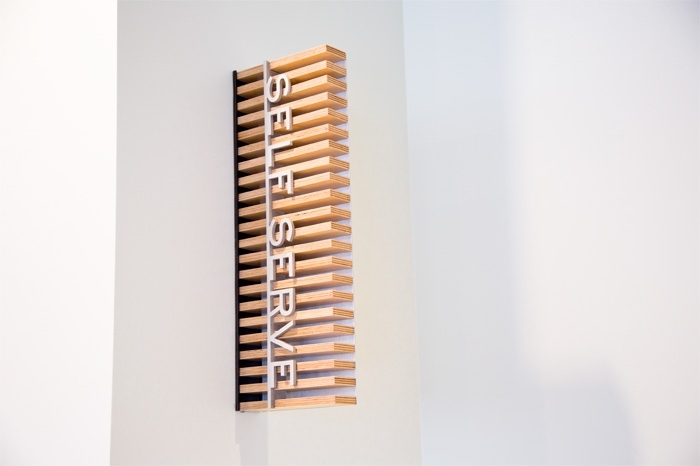 In addition, the office entry identity and lobby counter signs are built from simple unadorned building materials which complement each of the conference rooms that are named after nearby locales featuring plat diagrams on simple Lumasite panels.